With an international reputation as the definitive musicians' musician, British musician Eddie Jobson has been recognized as a musical genius since childhood. As a piano and violin prodigy, he was awarded a Diploma of Distinction by London's Royal Academy of Music at the age of 8, performing with his first professional orchestra at age 10. At 16, he was appointed as the Young Persons' Representative to the British Government's Arts Council and, the same year, performed his debut concert at the University of Newcastle - one of the first live concerts to feature the electronic music synthesizer. By age 17 he had acquired a worldwide record deal with Warner Bros. to record his first full album, playing violin, synthesizer and piano. Transitioning away from classical music and still only 17, he became orchestrator for British singer Bryan Ferry, leading to Jobson becoming a full member of the influential art-rock group Roxy Music, contributing to their first number-one album as synthesist and groundbreaking electric-violinist. Eddie's proficiency in re-sculpting and professionalizing the Roxy sound played a major role in the band's success and their considerable influence on the likes of U2, The Talking Heads and many of the '80s new wave rock/pop groups. Jobson's early pioneering work as a teen, along with the other Roxy members and fellow synthesist Brian Eno, has resulted in a nomination for 2019 induction into the Rock and Roll Hall of Fame. Remaining in the rock and jazz world after Roxy, Eddie - still only 21 - was “discovered” by American music icon Frank Zappa and flown to Los Angeles to replace both jazz greats George Duke on keyboards and Jean-Luc Ponty on violin, in Zappa's only four-piece lineup. Returning to England in 1978 after several albums and world concert tours with Zappa, Jobson then formed the internationally acclaimed progressive-fusion band UK with jazz-guitar legend Allan Holdsworth, King Crimson vocalist John Wetton, and original Yes drummer Bill Bruford. The UK albums, along with his other work with King Crimson, Yes, Jethro Tull and with members of Deep Purple and The Who, established Jobson not only as one of the top keyboardists in rock, but also as, arguably, the top rock violinist in the world. In the 1980s, Eddie put rock music and concert touring aside and focused on electronic music and the innovative world of computer music. He created the first music video to feature CGI, as well as the world's first album performed entirely on the Synclavier Music Computer. Featured in TIME magazine, this critically acclaimed album was one of the very first all-digital CD releases. The 1990s saw Jobson move into the world of television and film scoring - an award-winning side-career that culminated in him becoming choral director for Disney on two major movies and the soundtrack composer on numerous films, TV shows and 3D theme-park experiences. Fascinated with all musical forms, he left the world of Hollywood in 2000 and formed a musicians' label called Globe Music as a vehicle for producing a diverse array of jazz and world-music artists. This period also saw Eddie working with the Tuvan throat singers; composing for and conducting both the City of Prague Philharmonic and The Bulgarian Women's Choir, and also functioning as the choir's spokesperson at Harvard University and on multiple classical radio broadcasts. An unexpected return to the concert stage in 2008, saw Jobson perform to a festival audience of more than 200,000 people in Kazan, Russia, leading to ten more years of world tours until his permanent retirement from live concerts in 2018. In 2017, Jobson received the Lifetime Achievement Award at the Progressive Music Awards in London. 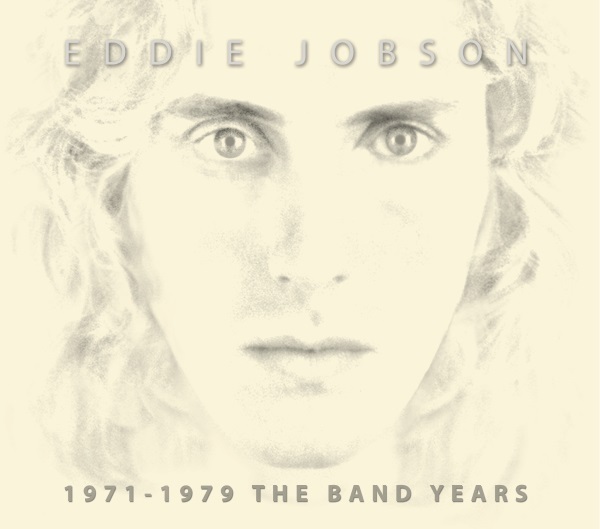 Five new double-CD releases are being released to commemorate Jobson's almost fifty years as one of the world's most respected musicians. Eddie is also currently producing six video lectures on The Art and Science of Music.